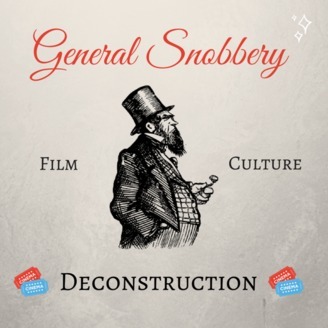 Welcome to General Snobbery, a podcast engaged in the Art of Snobbery to deconstruct US culture and films, thereby opening hidden doorways that lead to infinite dimensions of delight. Ready Player One is directed by Spielberg, Steven, who has had Asian stereotypes decorate his films all the way since IJ and the T of D (not including the vaguely Asian characteristics of the shark from Jaws). Ready Player One is about a kid named Wade Watts, whose alter ego is Parzival — regardless of which persona he inhabits, he’s a really bad actor. He has one face, and it’s a very ugly face. He earns no sympathy. Unfortunately, he survives in the end — but at least Simon Pegg does, too. This is a movie that thinks it’s really important. It’s about Steven Spielberg celebrating Steven Spielberg. It doesn’t care about the dangers of technology and instead makes technology seem awesome. It’s about worshipping a massive dork named Mark Rylance. It’s about Easter eggs, but there’s no rabbit in sight. There is, however, an Iron Giant, and Beetlejuice, and a lot of other dumb things. You probably shouldn’t watch this movie. If you do, we wish you luck. 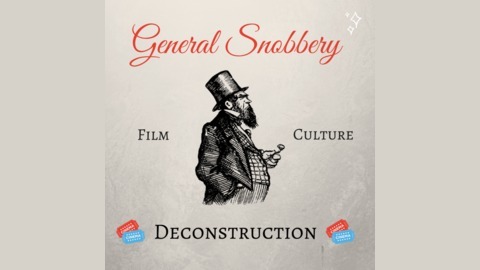 Also, you should definitely listen to this podcast, cause we hardly talk about the movie, since it’s not interesting. Instead, we talk about interesting things like Stranger Things, and cultural nostalgia, and mythology, and social media, and VR. Our podcast is a lot better than Ready Player One. #68: Darth Maul and Airplane!